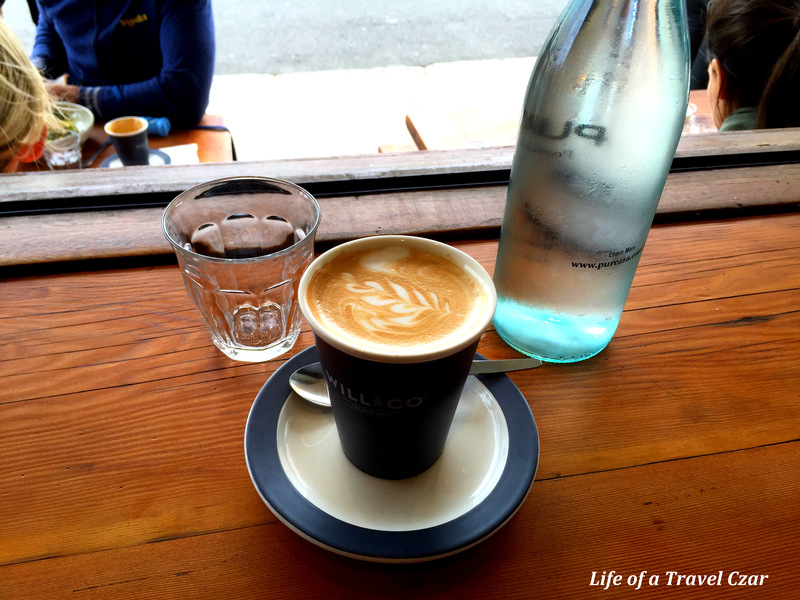 There is a wake-me-up of Will & Co’s coffee to brighten the eyes. The warmth of the coffee proves soothing to the gentle sea breeze which wafts in the café to give me a little goosebumps. The rich flavour of the coffee is simply a lovely experience. I fall oh so in love with it. 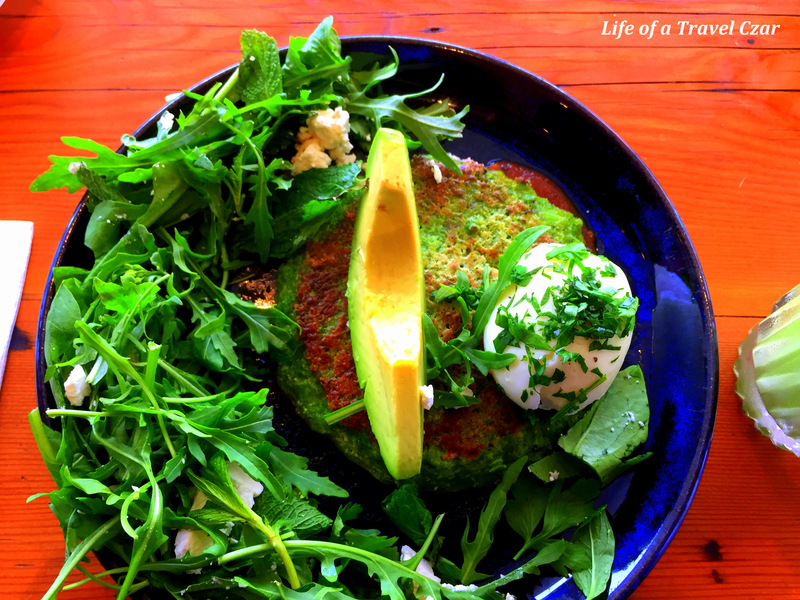 I decide to start on breakfast and my eyes peruse the menu and I just get fixated on the green pea pancake. 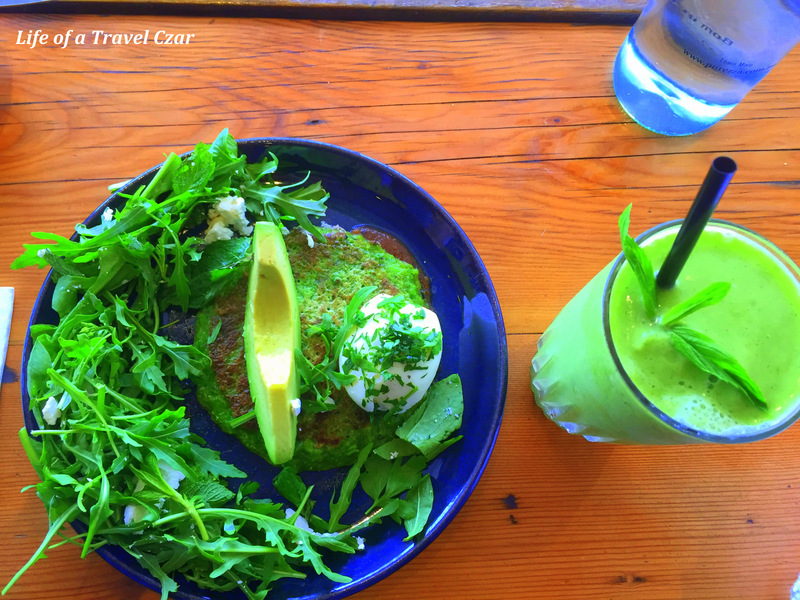 The dish is a treat… the soft doughy pancake with the texture of the peas, the bright green colour, the rustic tomato puree on the base, the smooth soft creamy avocado which is just hit – it is a combination of perfection. Last but not least, the porched egg, a beautiful soft but firm to the touch egg with the thick gooey runny yolk that mixes with the pancake for purely engaging tasting experience. I just loved it. I have an uber green pineapple, mint and apple smoothie which reflect the refreshing zing of the pineapple, the freshness of the mint and subtle pulpy apple wave… a purely delightful treat indeed. It is such a beautiful spot for a leisurely and satisfying breakfast!! !